SpaTap camp tap and shower system requires no external power source or pumps to operate it utilises gravity with no energetic impulse. The camp tap provides a minimum 25 hand washes per litre of water = saving significant water resources. SpaTap’s camp tap egg shape shower head creates vortex energy pressure flow which provides the widest water spray circumference possible with linear flow influenced by Viktor Schauberger’s fluid dynamic concepts and based on the age old Amphora egg shape. SpaTap also upcycles ubiquitous plastic and glass bottles re-purposing the bottles, giving them longevity and purpose and SpaTap is designed to fit the most commonly sized water bottles and canteens in the word today. The SpaTap camp tap soap caddy, is a practical innovation utilizing the base of the inverted bottle, in most cases the bottle base is shaped to allow water after usage to flow away and for the bar of soap to dry naturally. This is the perfect soap caddy as it reduces contamination and prevents bacteria from forming. Silicone properties: UV resistance, long life, flexible, durable, molecular memory, lightweight, anti-microbial, unbreakable. 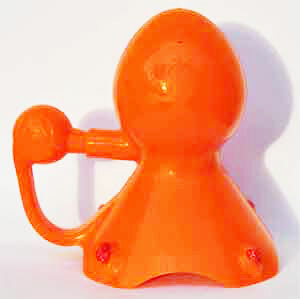 The SpaTap camp tap was the vision of UK inventor, Stuart Mason, who having worked for Oxfam, Save the Children and other NGO’s, saw a need for clean water to be made available everywhere in the world, whether for hand washing or showering. Stuart set about inventing the versatile SpaTap camp tap which can dispense water in three unique ways depending on the users needs. SpaTap camp tap is easily transported, and turns any plastic or glass bottle into an eco-friendly, water saving tap and shower. 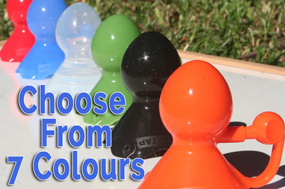 Since its successful Kickstarter campaign in 2014, the SpaTap has garnered support from twenty plus different countries from around the world, and people are excited about the applications of this innovative product. As well as its obvious applications for camping and adventure, Stuart’s vision is for the SpaTap to be used throughout the developing world, in countries where hand washing is an important factor in combating disease. SpaTap has recently started the ‘Every child a tap’ project has already started on the ground, with one school already enjoying the benefits of each child having their own tap. The project makes it possible for people to donate a tap to a child, with a number of ways of contributing. To get on board the Spatap Kenya ‘every child a tap’ project go to spatap.com or to contact Spatap Europe email info@spatap.com.